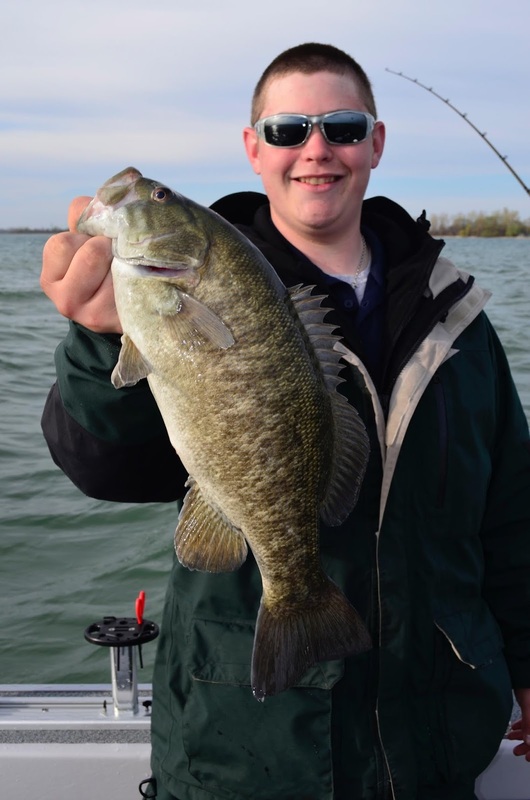 Bruiser smallmouth like this can be readily caught using slip sinker rigs baited with large minnows in the fall. Among bass fishermen you don’t hear a lot of talk centering on live bait tactics. In some places of the deep south anglers use large shiners to target trophy bass. In the Western Basin of Lake Erie a lot of bait shops sell “bass shiners” for anglers who prefer to fish with bait. These noteworthy exceptions are worth mentioning, but for the most part if bass anglers are using live bait, they are keeping it quiet. It’s perfectly “legal” and “moral” to use live bait for bass. Most anglers just prefer the challenge of catching these fish using artificial lures. Most of the year, bass can be caught readily on a host of artificial lures including crankbaits, spinnerbaits, topwater plugs and an endless list of soft plastics. As fall approaches however, a live minnow becomes one of the best ways to consistently catch adult bass. Most any species of minnow will work, but the real secret to fishing bass in the fall with live bait is selecting larger than normal minnows. As water temperatures dip below 50 degrees, both smallmouth and largemouth bass are triggered into selectively feeding on larger forage fish. Focusing their efforts on larger prey helps bass pack on food reserves for the coming “cold water period” in which bass will feed, but more sparingly than during the rest of the year. The normal three inch shiner minnow will certainly get the attention of any nearby bass, but larger four, five and even six inch shiners, chubs and sucker minnows are going to consistently produce more bites and bigger fish. takes live bait to get these fish charged up. These minnows can be fished effectively a number of ways, but slip sinker rigging is hands down the most efficient means of fishing minnows, on bottom structure and near fish holding cover. The classic “Carolina Rig” baited with a live minnow instead of soft plastics is the ideal set up for fall bass. 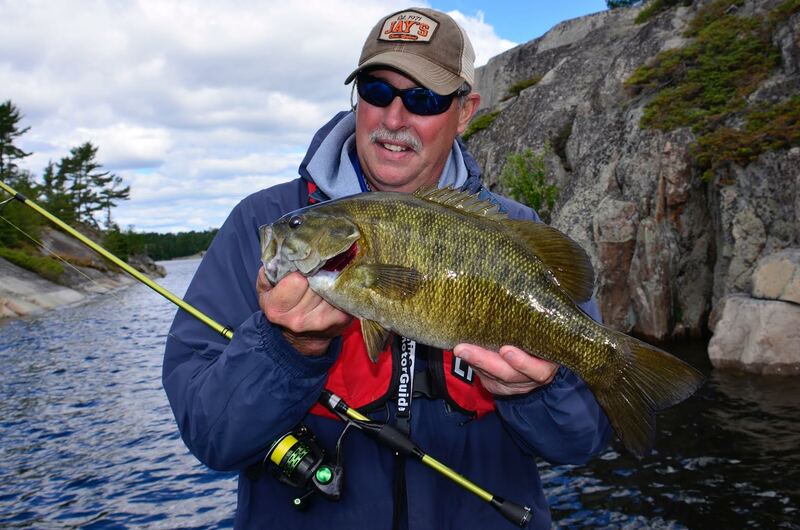 Fishing with larger minnows calls for a larger than normal weight and hook. A 1/2, 3/4 or one ounce egg sinker and a No. 1/0 beak hook is good choice. Hook the live minnow through both lips and lower the bait to bottom. Use the electric motor to slowly drag this rig along bottom focusing efforts on weed edges, break-lines and submerged reefs. This simple live bait rig is exceptionally deadly on trophy largemouth and smallmouth bass, but that’s not all. This rig is also going to produce bonus walleye and northern pike. This live bait presentation starts producing good results when the water temperature gets to about 50 degrees and will continue to reward right up until the ice locks up the open water fishing for another season.